Meet Kosie… He is one kid who isn’t fully aware that his life will mean something someday. In fact, his life means something today, right now. He has a smile that is contagious and a strong laugh to go along with it. 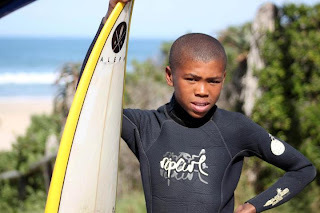 He is 14 years old and he wants to be a surfer and carpenter when he gets older. I told him that Jesus used to be a carpenter and it made him smile. He has friends that look up to him because although he is very quiet, he isn’t unheard. He has very little positive influence in his life and for this reason each day comes with new territory. He can be very helpful or he can be very mischievous. He is just one kid…out of many kids with their own unique story. Kosie doesn’t realize it yet, but his life has a purpose. A God much bigger than I can explain to him loves him and calls him his child. He isn’t forgotten, he isn’t just an out-cast kid on the streets, he is a human being, made in the image of the invisible God. He should have been loved from the moment he was born, but there is evidence for the alternative. I wish you could all meet him in person, but this is the best I can do for you. Pray for him, pray that he can begin to see himself as a child of the living God. Praise God for Kosie! I'll be praying for him Matt as well as you! May the God of great peace, comfort and of mighty power be with you all there! Keep trusting in this big God!